Apple rejects Trai anti-spam app. Apple refuses to allow TRAI's DND app on the App Store; TRAI chairman calls situation "ridiculous"
Apple is still refusing to allow the Telecom Regulatory Authority of India’s (TRAI) anti-spam Do Not Disturb app on the App Store. The app purportedly fights spam, by reporting such messages and calls directly to TRAI, and is available on the Play Store. 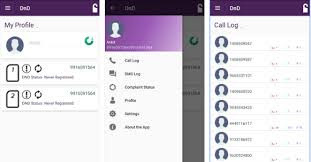 The TRAI DND app requires access to a great deal of user data, including location information, access to call and message logs, the ability to read messages, access to the media library, Device ID, full network access, etc. While a number of third-party apps on the App Store and Play Store ask for and receive most of these permissions, the DND app’s requirement for text message data is likely violating Apple’s privacy policies. It must be noted that the TRAI DND 2.0 app on the Play Store isn't particularly good. With a rating of just 2/5 and 836 out of 1231 reviews going for a one-star rating, TRAI has a lot to fix. Primarily, the reviewers complain that the app is buggy, doesn't connect to the internet and that the reporting process is as good as useless. Apple is yet to officially comment on the matter.